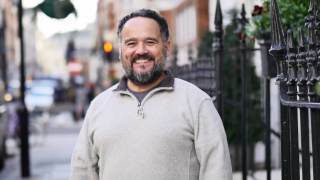 With four previous prosecutions – and no convictions – street preacher Mike Overd was accused in January of this year of ‘offending’ members of the public and charged with ‘anti-social behaviour’. However, the Crown Prosecution Service (CPS) withdrew the charge because the police inspector had not signed the right paperwork. After preaching in Bridgwater town centre for around 20 minutes, the police became involved when a member of the public complained that Mr Overd was offending people in the crowd around him. However, when the police attempted to hand him a Section 35 order, asking him to leave the vicinity, Mr Overd refused on the grounds that he was exercising his right to free speech. Mr Overd’s lawyer, Michael Phillips, believes police ‘requiring’ street preachers to leave the immediate vicinity is a new police tactic to prohibit their freedom of speech. However, Christian Legal Centre has a 100% track record of getting street preachers acquitted, which suggests that police are overstepping their powers. In the now viral video of the arrest of street preacher Oluwole Ilesanmi, police used the same tactic to try to stop him from preaching, claiming that he had also offended members of the public. Police later de-arrested him, but not before they had forcibly removed him from the area and dropped him off miles from his home. Mr Ilesanmi’s arrest is now being investigated. Speaking of his own arrest, Mr Overd said: “I was just preaching when a handful of troublemakers started becoming aggressive - one man threatened to rip my face off. One of the complainants reported me to police just for looking at them. “Compared to ten years ago, I am noticing that more and more people are denying the existence of Jesus. It’s getting worse with the police and there is more aggression from the public, some of whom I know want to harm me. However, Mr Overd has promised that these arrests will not deter him from preaching the gospel and is reassured that he has never been convicted. He added: “It was an odd feeling to hear the news [that the case had been thrown out], but I was very happy and grateful to God for the victory, and thankful in prayer. It is easy to lose sight of what has happened because it was a technicality. “I am reminded of a quote from John Knox that, ‘one man with God is in the majority’. When God is with me, those against me don’t know who they are up against, but I am still learning, and I want to learn more. If you are concerned by the growing arrests of street preachers across the country, then you can show your support for street preachers like Mike Overd and Oluwole Ilesanmi by signing a petition to ask the Home Secretary to protect their freedom of speech.